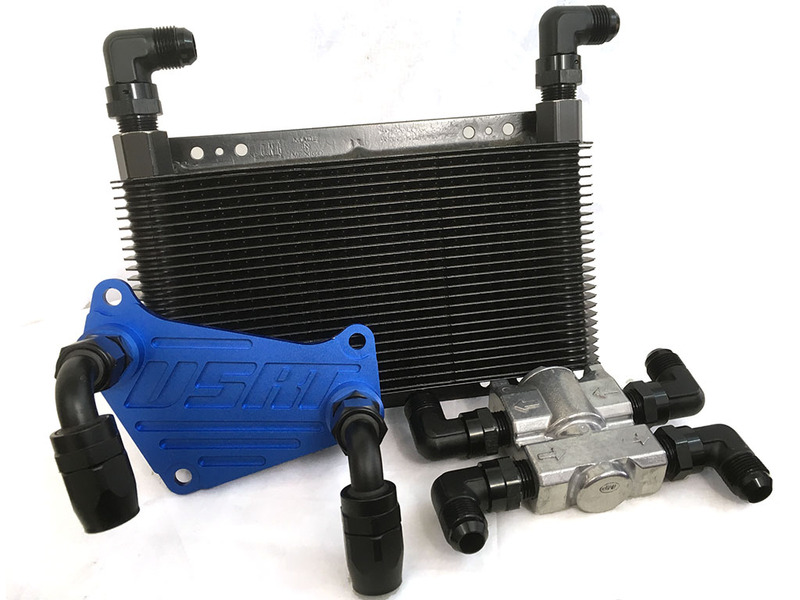 Feed your Audi MK2 TTS turbo with a supply of cold air with this direct-fit high-flow cold air intake kit. 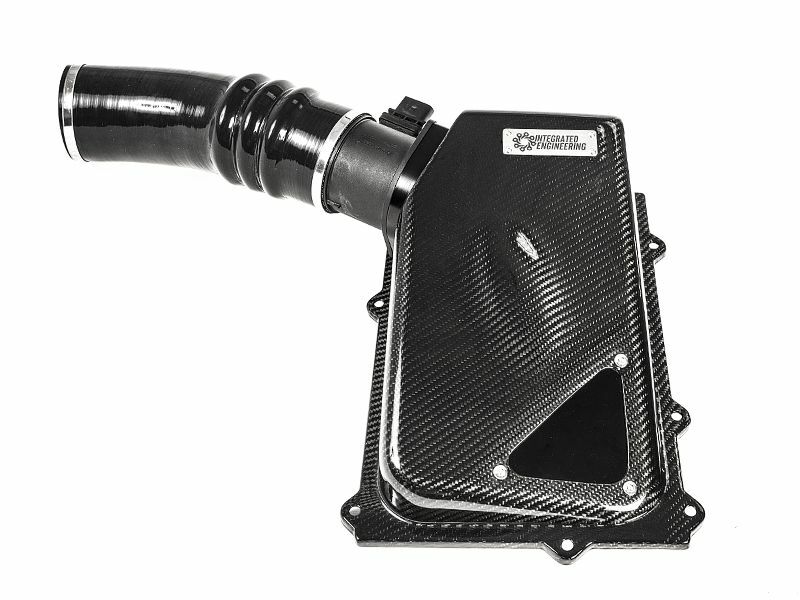 This intake features a generously-sized inlet pipe that connects to the OE mass air flow (MAF) sensor. 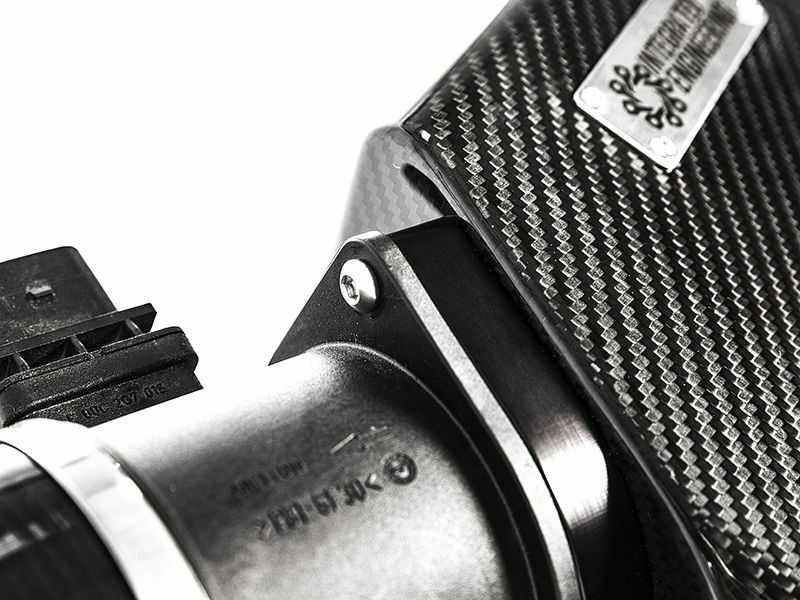 The MAF sensor receives high-velocity air fed directly from a 5" velocity stack. 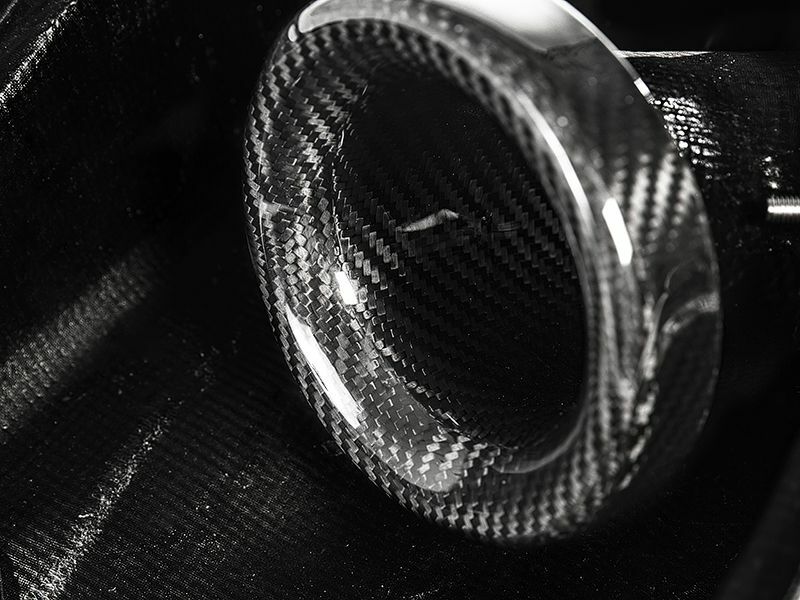 Our high-flow velocity stack is neatly housed in a carbon fiber intake lid, which separates the air filter from the hot under-hood air, allowing only cold air to be drawn into the turbo inlet directly from the front of the car. 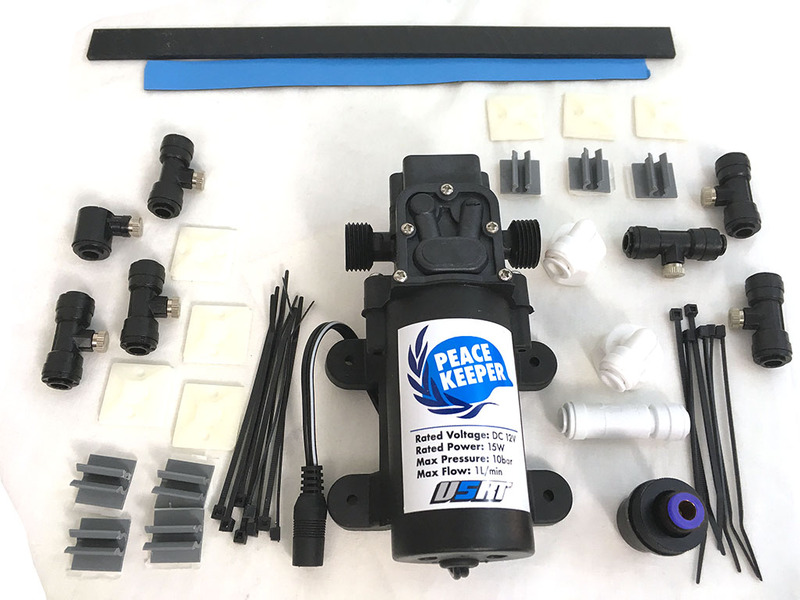 This air intake kit provides all the necessary piping and couplers to plumb the intake system from the turbo to the MAF and then to the carbon intake lid. 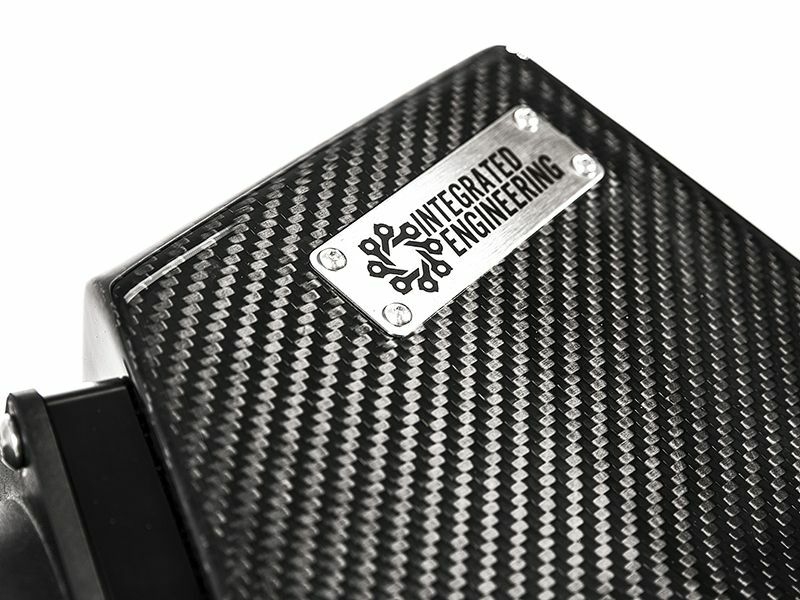 The carbon intake lid installs using the OE hardware for easy maintenance and reliable mounting with no rubbing or interference with other factory parts. 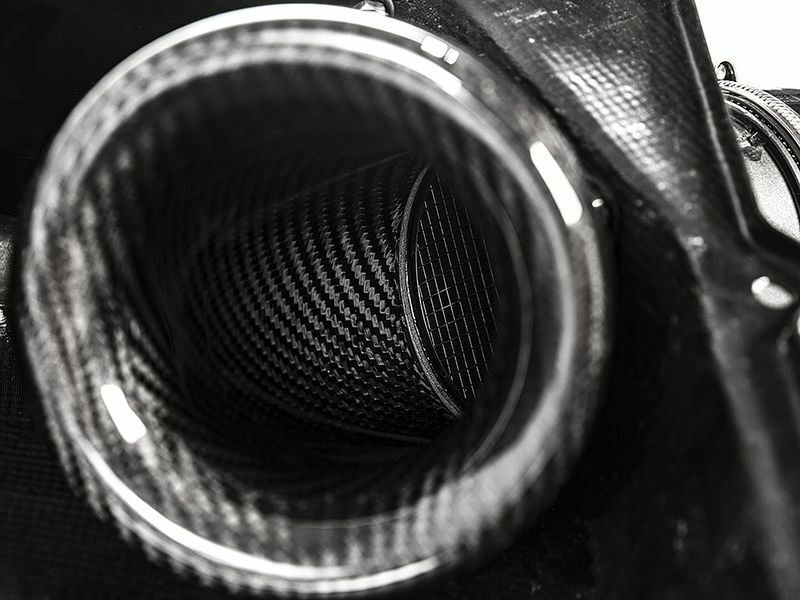 The air intake utilizes a high-flow carbon fiber bellmouth behind the massive cone air filter to deliver as much air as possible. This bellmouth design increases the air velocity to the MAF and pulls cold air equally from all directions into the filter. This bellmouth is securely fastened to the carbon lid as a clean pass-through providing a solid mount for the air filter and OE MAF. 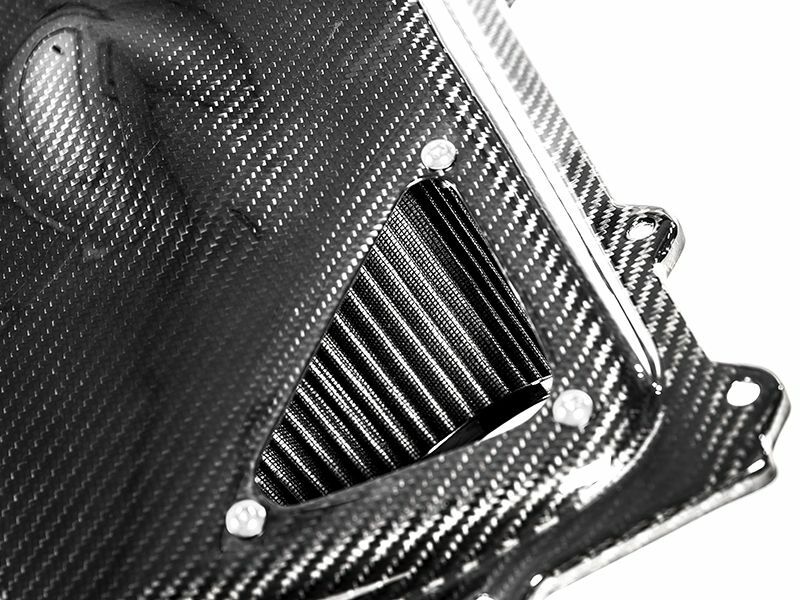 Furthermore, the bellmouth opening allows for a filter with a very large surface area that can support any horsepower goal. The same filter and bellmouth design have been tested to support over 500HP on our twin-scroll big turbo kits with huge success. 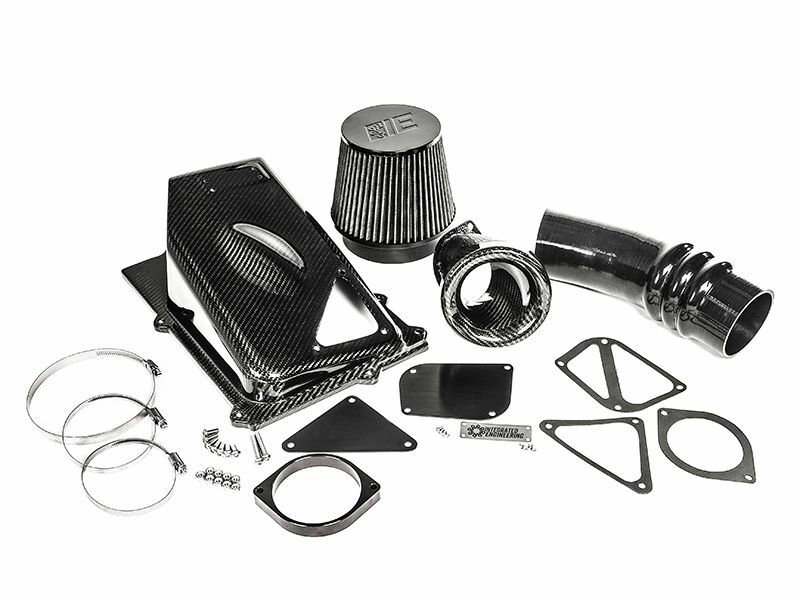 This intake kit features a unique feature allowing gasket sealed "sound doors" to be installed or removed giving the owner control of the intake noise. Removing one or both of the intake doors will either increase or reduce the amount of throttle and turbo noise. This feature delivers all the benefits of both a closed box and open air filter intake designs. 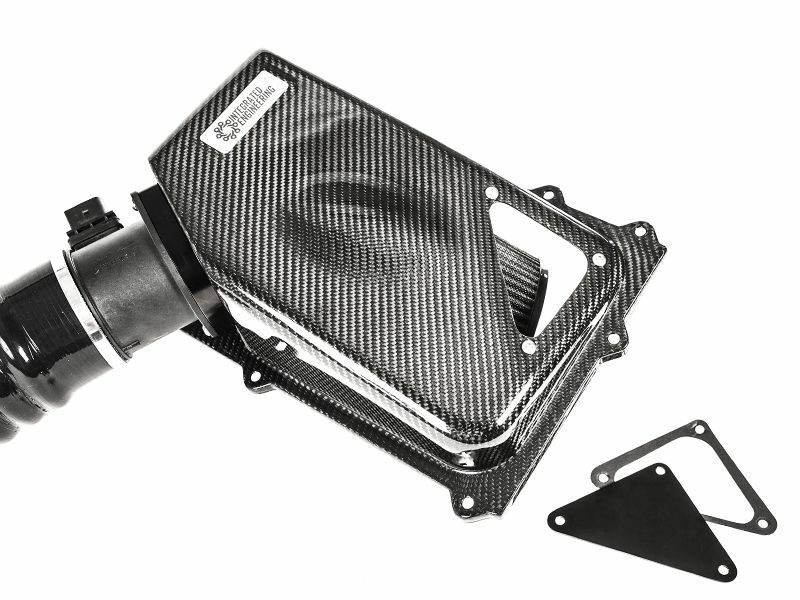 Removing or installing the sound doors does not affect the performance increase of this intake. 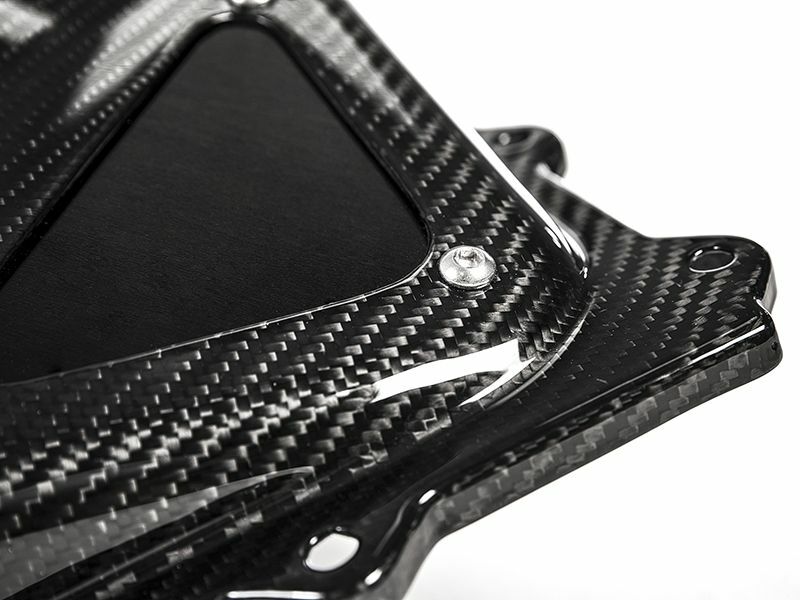 The IE carbon fiber intake lid is designed to create a thermal barrier blocking all of the radiant heat from the engine bay. Only cold air from the front of the vehicle is drawn into the filter from the opening in the radiator support keeping air intake temperatures as cold as possible. 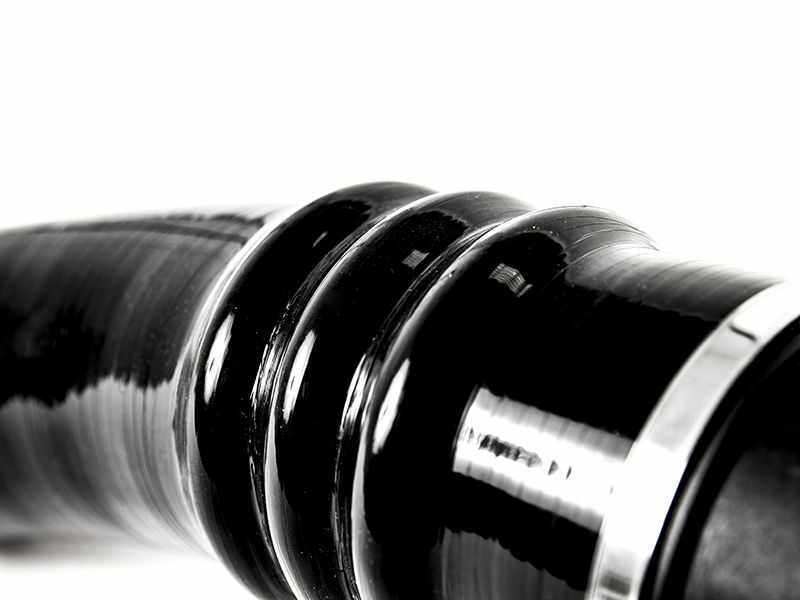 This allows factory placement of the intake to be used without placing the filter lower in the vehicle where it can be subjected to engine harming road debris or fluid. Installation is quick and easy install with basic tools. The process should take around an hour for most enthusiasts. 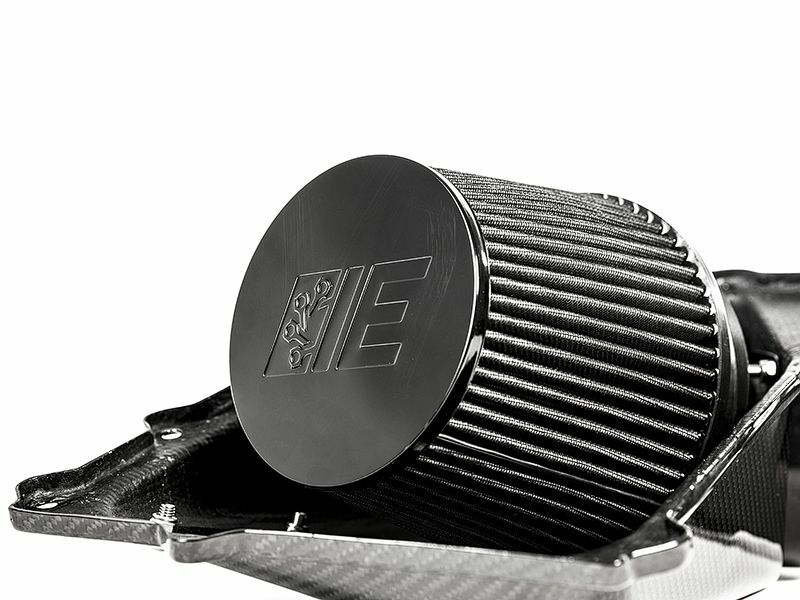 CLICK HERE to view and download the IE MK2 TTS Cold Air Intake Install Guide.